Jan Sirks is a young Dutch artist in search of his artistic identity at the start of the 20th Century just when art is on a threshold of complete transformation. When an Old Master pulls him into an all-consuming tango with the medium of etching, his path looks set. Jan finds an unexpected ally in his model, the headstrong and visionary pianist Hillegonda, whose charm and determination ensure the doors to galleries and private collectors are pushed open to his modern and candid signature in black and white. When World War I strips humanity of its veneer, Jan is confronted with a painful awareness of man's duality that destroys his trust and swings his compass toward the need to find his personal truth. He delves deeply into meditation but becomes haunted by his visions. At the disturbing edge of his personal reality, he looks to farewell the harmony of his black and white etchings and transforms his realism into esoteric visions and abstractions of colour and form. An encounter in Amsterdam with like-minded artists results in the establishment of the Dutch avant-garde art movement De Branding. Although their individual interpretations of the meaning of freedom of expressions differ, they share a love of individualism. The members fight to escape jury-led exhibitions, the emerging hatred toward independent artistic explorations and for the right to exhibit in their own city, Rotterdam. Over time, Jan realises that the initial good intention is derailed by the dogma of a mere few. Underneath the veneer of sincerity of fellow-artists, critics and curators is a cesspool of vendettas and personal interest that aims to control art. 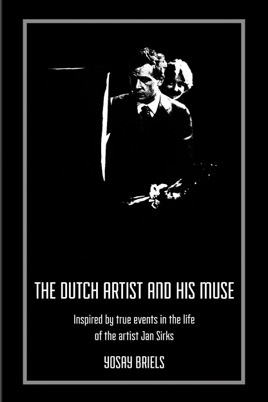 When the philosophical discussions of his artist friends, members of De Branding and De Stijl make art the savior of mankind and the artist the hero, Jan steps out of his studio, leaves his meditations and Theosophical Studies and steps into the battleground of the modern art world to fight for what he truly believes. Where Jan sees a journey toward ultimate freedom of expression, others see an uncontrollable expression that requires censorship. As his life's compass swings from abstraction to social justice and the need for sanity, Jan battles the crossroads between fashion and his soul. The Dutch Artist and His Muse tells the story of the quiet revolutionary artist Jan Sirks as he paints a unique canvas of life and helps pave the way toward artistic freedom of expression.